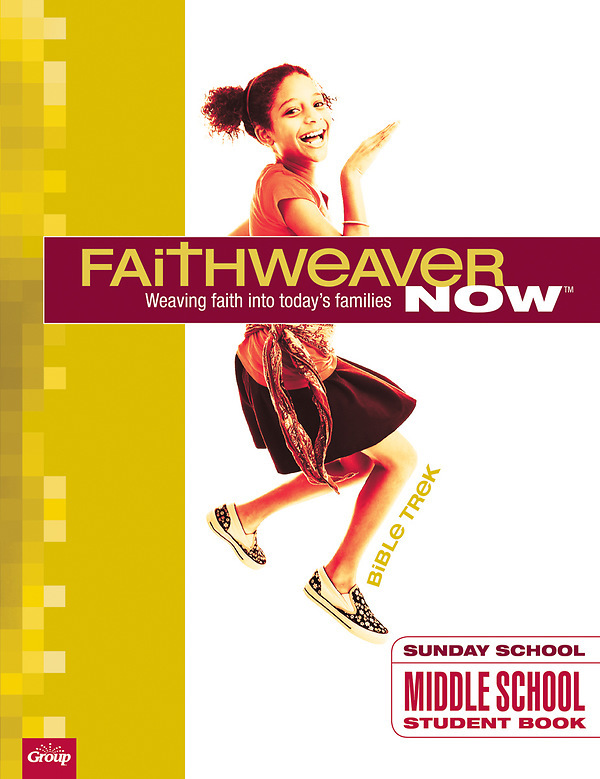 FaithWeaver NOW Middle School Student Book: Bible Trek equips you to lead memorable, life-changing studies. 2-in-1 student books include the in-class portion on the front page and the take-home activities on the back page! Each Student Book activity helps reinforce the Bible point as students get involved with an in-class activity. "Bringing It Home" section gives students an easy-to-do chance to spend time with parents—and reinforce the study again at home! "Choose Your Own Adventure" section includes activities that meet the needs of different learning styles and interests: drama, writing, music, art, discussion, and more. Recommended to purchase one for each student.